I can only send Sandy my best wishes for the best of health. 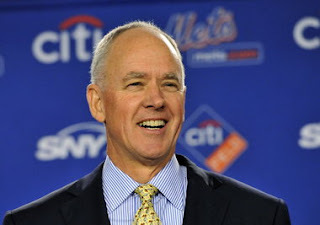 He "pushed the right buttons" in July as he made the trades that got the Mets into the World Series for the first time in 15 years. A person's health must come before his job.